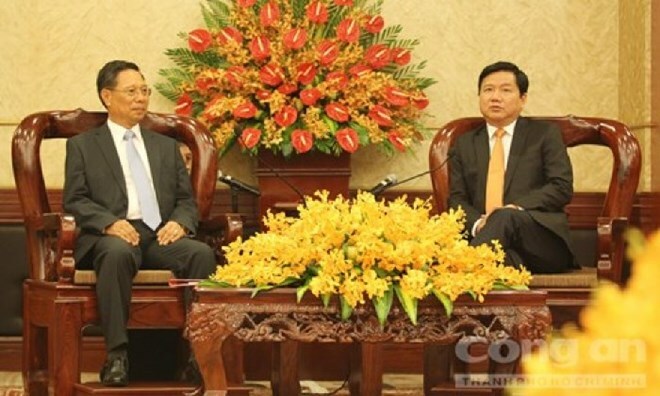 HCM City (VNA) – Ho Chi Minh City is willing to cooperate with Lao localities, including Attapu province, in a more practical and effective way, Secretary of the municipal Party Committee Dinh La Thang has said. During a May 29 reception for a Lao delegation led by Party Committee Secretary and Governor of Attapu province Nam Vinhaket, Thang highlighted the traditional friendship, special solidarity and comprehensive cooperation between Vietnam and Laos. Ho Chi Minh City has taken the lead in promoting the friendship and collaboration with Lao localities, he said, adding that the city is devising a number of measures to become an economic, financial, trading and science-technological hub in the region. For his part, the guest extended thanks for the continuous support the city has provided for the Lao province in the fields of health care, education, transport, and human resources training.